Bunny Harvey, photo by Scott Lapham. 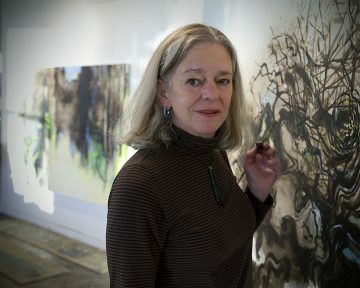 Born in 1946, Bunny Harvey came to the Rhode Island School of Design where she obtained a BFA, MFA and MAT. In 1974, she won the Rome Prize in Painting from the American Academy in Rome. She soon launched herself on a series of career successes, including many solo exhibitions, thirty years of exclusive gallery representation in New York City, and a long teaching career at Wellesley College. 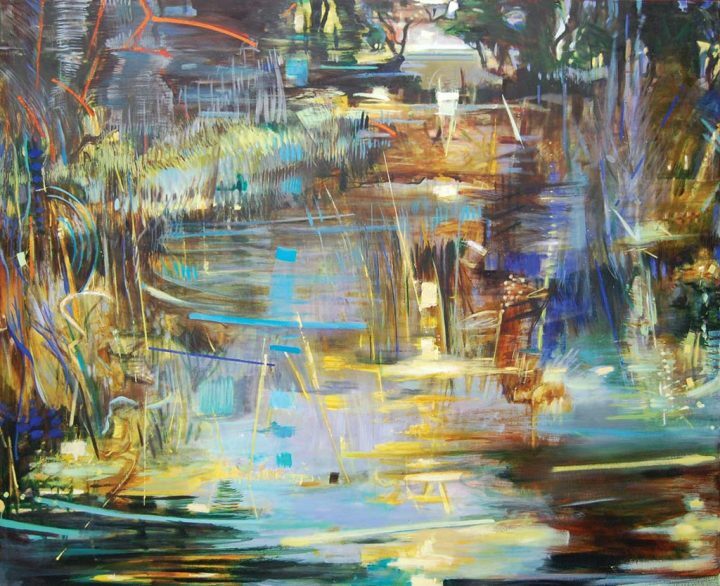 Today, Harvey’s work has evolved from concerns with “the archaeology of lost civilizations and the fragile and durable surfaces of the past” to the multi-layered, changing aspects of landscape around her Vermont studio. Harvey recently had a solo exhibition at the Newport Art Museum. Oil on canvas, 54 x 66 x 2.5 in.